Lydia Bottelier prepares to close out her terrific high school career this spring, and she'll look to add another state title. 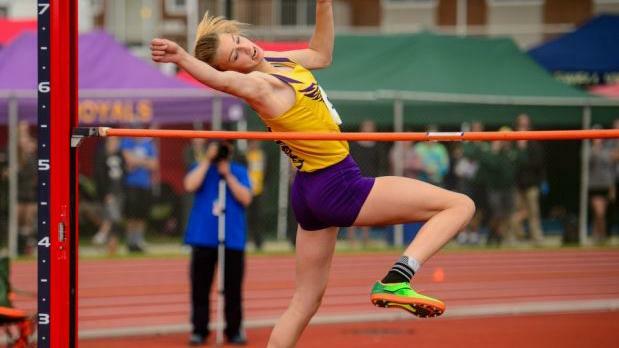 The Palisades senior has captured the last two outdoor AA state crowns in the high jump, and a few weeks ago, she won her second straight indoor title. She enters this spring with a top returning jump of 5-10 from the Colonial League Championships. She matched that career best this indoor season at the New Balance Games. She'll be the overwhelming state favorite. The main question is: how high can she go this spring? THere are four other returning AA state medalists from a year ago. Beaver Area's Emma Pavalek and Elk County Catholic's Taylor Newton tied for fourth last year, and Bermudian Springs' Rachel Spangler and Quaker Valley's Amelia Skowron tied for eighth at the state meet last season. Newton jumped a best of 5-6 last spring. In AAA, similar to last year, it will be a wide open battle for the state title. Kate Donnelly of Council Rock North cleared a big PR of 5-7 to take the AAA win at Ship last season. Donnelly, who was sixth at indoor states, will be one to watch once again. She'll be challenged by a host of good returners. Cheltenham's Brianna Smith was third at states last year (clearing the same height as Donnelly). Smith cleared 5-7.25 last year and was second to Bottelier at indoor states. She'll be looking to win her first state title. Senior Kayla Gillen of Twin Valley jumped 5-8 last season, the best returning clearance of any AAA girl. Look for her to compete for the win this season, as well. Easton Area's Kate Willshaw jumped 5-8 multiple times this past indoor season. She was sixth at outdoor states last season and then fourth at indoor states. Other returning AAA medalists include Central Mountain's Amelia McCloy (fifth), State College's Rachael Spencer (seventh), and Hempfield Area's Rebeccah Pyo (seventh). Indoor medalists to keep an eye on are Haverford's Olivia Boyce (third), Abington Heights' Calista Marzolino (fifth), Greater Latrobe's Sadie Wetzel (seventh), and Avon Grove's Alana Boiardi (seventh).